Rarely does the data-mining of a video game fuel the fires in the hearts of shippers around the world, but if some newly plundered voice lines recently added to Blizzard’s Overwatch are to be trusted, then we might be able to infer that everyone’s favorite cyborg ninja and winged, angelic doctor are a chocolate-loving item. 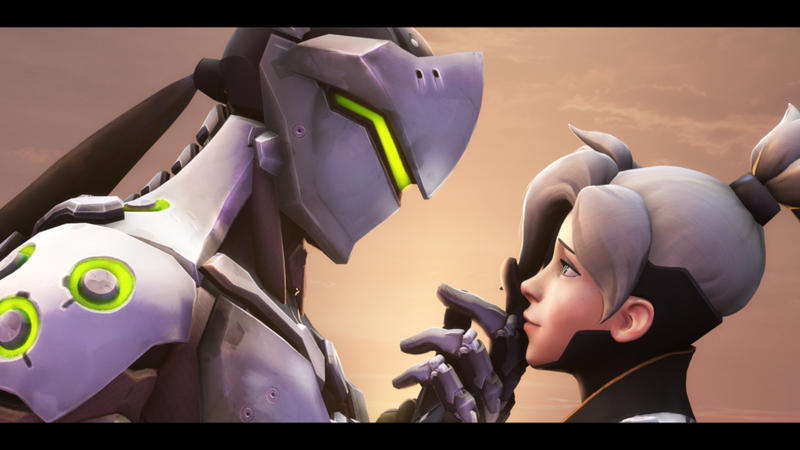 That’s right, Genji and Mercy might be dating. Recent patches made to the game haven’t been live for long on the test servers — in addition to a traumatic Roadhog nerf to his hook — but they also include some brand new voice lines between Genji and Mercy in which they chat about sending each other chocolates. Some theorized these might be part of some Valentine’s Day-themed event akin to those Overwatch hosted for Halloween or Christmas, but Game Director Jeff Kaplan assured fans on the Overwatch forums that there is neither a Valentine’s nor Easter event planned. Keep in mind that there’s also another bit of dialogue between Hanzo and Genji regarding chocolates in which the former remarks that chocolates are Genji’s “amusement,” not his. It’s worth noting that several pairs of characters have interactions before matches should they be paired up on teams; these new lines will likely be new examples of that. As it stands now, Genji already has one with both Hanzo and Zenyatta, among others. More talk of chocolates, or something else?